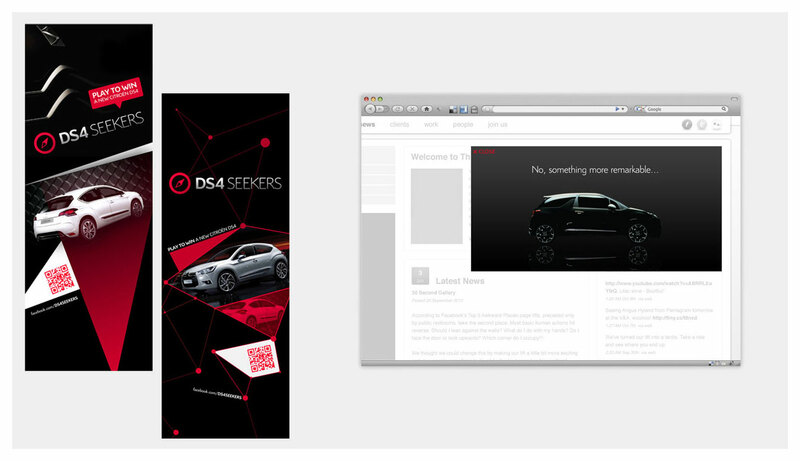 Various online and print creative designed and developed for Citroën UK, including retail and campaign-specific executions. 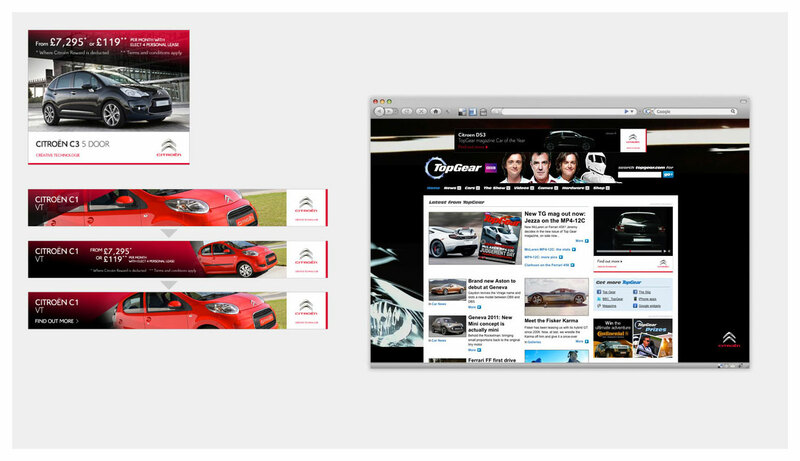 Working with Citroën UK’s creative base, a number of online campaigns were developed to promote both retail and campaign-driven offerings. Within retail, design and development was required to generate dynamic online banner assets, that could be updated with quick turnaround, yet be flexible enough to maintain a strong brand consistency across all executions. 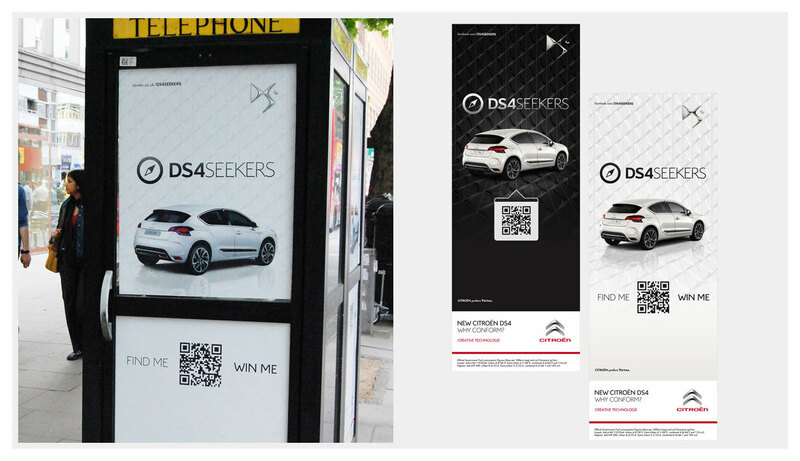 Campaign-specific creative includes online banner campaigns for Citroen’s DS3 Top Gear Magazine Car of the Year promotion (as part of Euro RSCG’s campaign), as well as online and print campaigns for Citroën’s DS4 Seekers competition (developed by Candyspace).